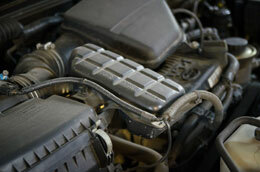 We at Faircity Auto Body want you to be as informed as possible when it comes to the repair process. We understand that dealing with an accident and being without your automobile can be frustrating, so we have provided a list of frequently asked questions from our past clients. 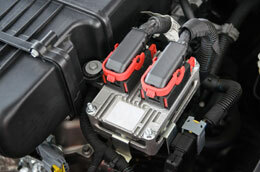 These questions should ease any kind of confusion you may have about the car repair process. Reading through each one will comfort you and help familiarize yourself with how Faircity Auto Body works. If you have questions regarding the status of your vehicle, please check our vehicle status page. Our team is only as happy as our customers. If you cannot find the answer to your questions here, please feel free to contact us. Below you will find questions and answers regarding involvement in an accident, payments and warranties, and general info..
WHO IS RESPONSIBLE FOR THE REPAIR BILL? The vehicle owner is. However the insurance company has a legal obligation to their insured to pay for the repairs. Generally an insured will pay their deductible and the insurance company will pay the rest to the insured unless you specifically notify the insurance you want them to pay the body shop directly. If this were so you would need to sign" Direction To Pay" which give authorization to the insurance to pay us directly. You will be notified when your vehicle is ready to be picked up. We will normally contact you a day in advance. You can also check this website. You will see a message next to the last picture of your vehicle telling you that your vehicle is ready to be picked up. Feel free to call or e-mail your advisor during the repair process if you have questions or concerns. HOW LONG WILL MY CAR BE IN THE SHOP? At the time that you drop off your vehicle to us we will give you a target date. We will be able to update you with in a few days to confirm that target date. This will be once the parts are ordered and we know that they will be delivered promptly and that we have called the insurance company for any additional damages if necessary. HOW SOON CAN I LEAVE MY VEHICLE FOR IT TO BE REPAIRED? DO I HAVE TO GO WHERE THE INSURANCE COMPANY DIRECTS ME? No. It is your legal right to do business with the shop of your choice. HOW MANY ESTIMATES DO I NEED TO GET? None. There is no law that requires this. It is the insurance company's obligation to adjust your claim fairly. If you leave your vehicle with us we will supervise the insurance appraiser and make sure they write a fair estimate. DO YOU OFFER CAR RENTAL REFERRAL SERVICE? Yes. 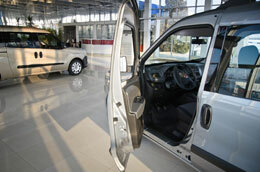 We can make arrangements with a local rental car company to meet you at our facility. If you have rental car coverage the rental company should be able to set up a direct billing with your insurance company unless your policy states otherwise. I'VE NEVER NEEDED COLLISION REPAIR BEFORE. CAN YOU BRIEFLY EXPLAIN THE CLAIMS PROCESS? When you contact your insurance company (or the other drivers insurance company) they will ask you to explain what happened. When that is complete ask them for a claim number. With your claim number we can handle everything for you from that point including dealing with the insurance appraiser and getting you a rental car if you need one.